Fun Fact: I started using a word of the year to guide my goal planning way back in 2013. I actually had to go dig through the archives to see. That is a benefit to blogging for as long as I have! In that post I said “can we make February 1st the new January 1st?” Even back then I was moving slowly into the New Year. Nothing has changed. Here I am, still slowly working my way through goal setting. I am still trying to figure out exactly the path I want to be on this year. Is it the same for you? Did you want to start everything on January 1st, but instead got behind? Did you know that is OK? It is OK to lean into the process of a slow start. January 1st is just another date on the calendar. I love to use Lara Casey’s PowerSheets to work through my goals. It wasn’t always that way. I used to sit down and list out everything I wanted to do in on paper, and I loved that as well. I am all about putting things down on paper. Why? Because it sticks with you more. Choosing a word of the year is part of the prep work process in the PowerSheets. If you haven’t gotten yours, I highly recommend it. If it is out of reach for you right now, that is OK too. PowerSheets help you think about where you want your life to go this year, but you don’t need a goal planner to do that! All you need is a notebook and a pencil (or some pretty pens). If you are part of the Townsend House Community e-mail list, you know that we have been talking about easing into the New Year. If you aren’t part of the community, what are you waiting for? Sign up below! 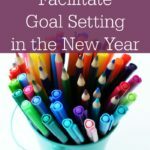 We all have these delicious ideas about getting all of our goals set by January 1st. The rhythms and routines are in place. And we have our list of habits that we want to work on all ready for business! Right? Oh wait, that isn’t how it goes. Most likely this is your situation, because it is a common one in my home year after year! You made it through the holidays, but then your kids got sick, or you did because you were finally able to stop moving for five minutes in a row. There are so many great ideas are on the horizon, but you already feel behind with homeschool because you took those few weeks off. You know that you want to make some changes to your rhythm, but it is so cold, and no one is motivated to do anything but watch a documentary…and that is on a good day. What ends up happening? You give up before you even start. You think that because January 1st, and even January 14th, passed by already, you can’t possibly start now. I am here to tell you that you absolutely can! I love a fresh start. January 1st, Monday’s, the start of a new season, the start of a new month, I love them all – yes I did include Monday’s on the list! What I have learned over the years is that while it is nice to think of January 1st as that fresh start, that does not mean that you need to have all of your ducks in a row by January 1st. Now granted, we are almost at the end of January now, but I bet that you have been using this time to settle back into your homeschool rhythm. You have probably included a couple new habits that you want to foster in yourself, and given the kids a few habit ideas as well. It is OK to ease back into homeschool, to ease into goal planning, to ease into the new year. If you need permission, I am giving it to you right now! Don’t let the date on the calendar hold you back from setting yourself up for success for the rest of the year. 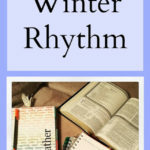 When you let January become a month of easing back into the rhythm of your homeschool, you let go of that stress of not doing enough early enough. It is OK to ease in. You will do yourself a disservice if you beat yourself up because you don’t have everything perfect yet. Do you feel better now? Great! Let’s get started! 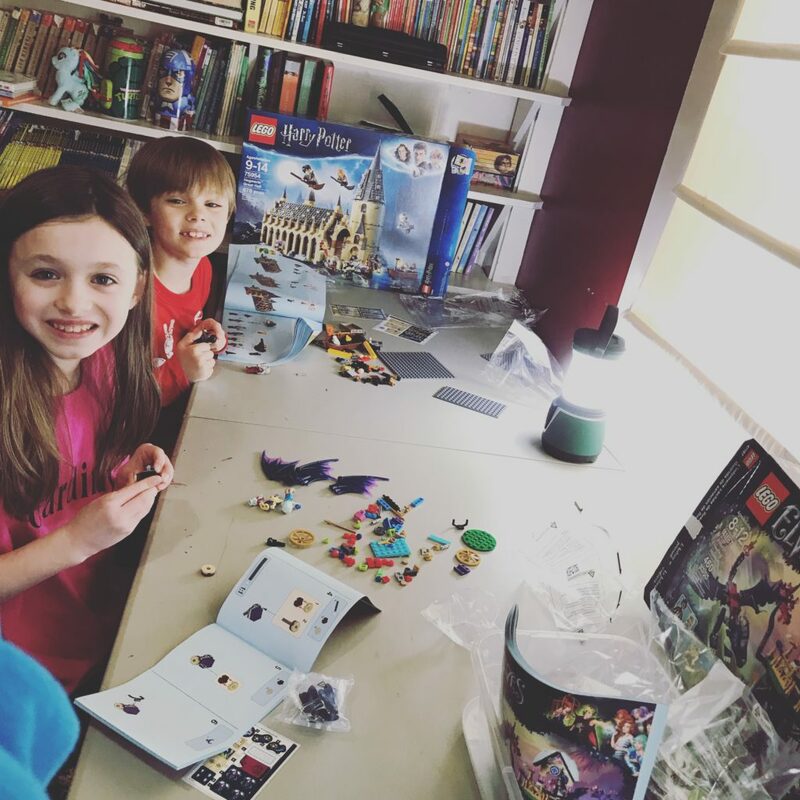 Our homeschool term started off with a lot of LEGO Building! Choosing a word of the year is primarily to act as a guide. This guide helps you with your goal setting. It helps you to understand the direction you want your life to go. When you have the word of the year as a guide, it makes goal setting easier. All that to say, my first word of the year was change. Now, on the surface that is a pretty general word. What change? However, when I was able to dig down deep, I was able to easily list out the changes that I wanted to make. 2013 was the first year I was being intentional about homeschool with Emma. She was 5 at the time, it seemed the right time. I needed to change our rhythms and routines, I wanted to change some habits, and include some new ones. Why do you want to choose a word of the year? To help keep you on the path that you set out for yourself. You want to be able to know that the decisions that you are making, the goals you are setting, are the right ones for you right now. 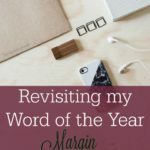 A word of the year helps as a litmus test when you think about decisions on a daily basis. If your word of the year is simplify, you most likely will not be buying all.the.things. It will act as a reminder to stop you before you make a decision. 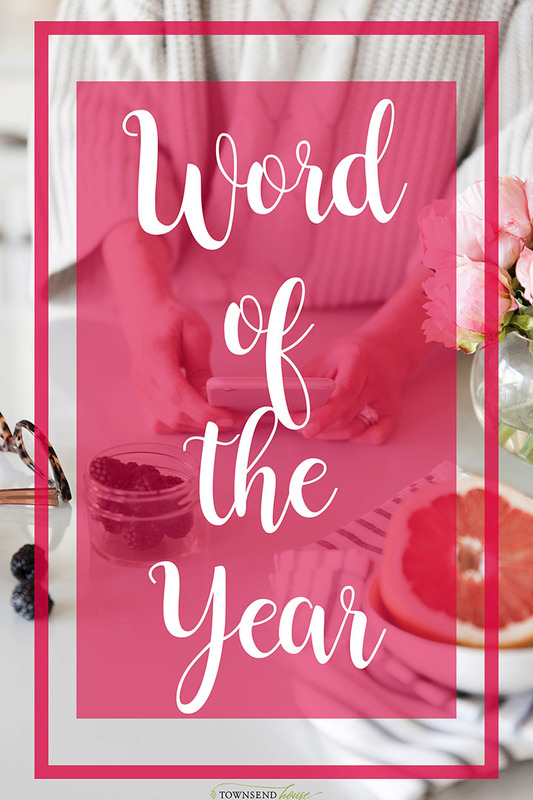 A word of the year helps to answer the question: Do I want to do that, buy that, sign up for that? Your word will also help you to set your goals. Not everyone loves to sit down and write out goals. You want everything to happen immediately, or you look at 10 year goals and think you have a chance of fulfilling them by the end of the year. I am notorious for this. Everything should be done right now. Remember, my first word of the year was change! 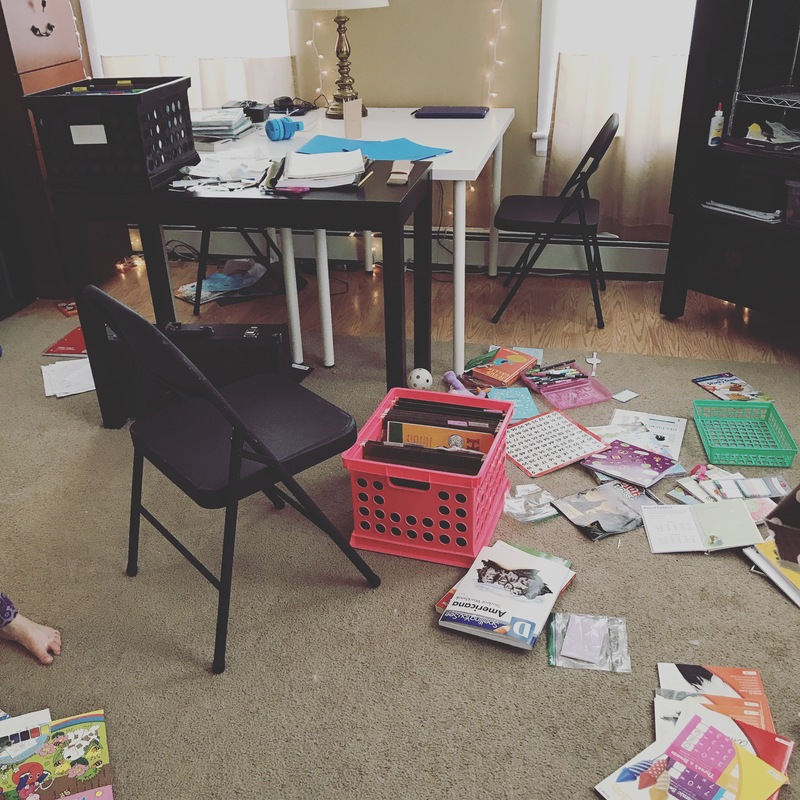 I should have cleaned out the kids’ homeschool bins BEFORE we started back to school. This was MLK Jr. Day. When you choose a word of the year, then your life will start to align with that word. It gives you freedom to easily make decisions instead of freezing when they pass the new committee sign up sheet around. You have that one word. It allows you to make split decisions. If your word is community, you may answer yes to a lot of invitations. You may offer a lot of your own. Involve yourself in your community. If your word is edit, you will most likely say no a lot. You will know when someone asks you to do something whether that is going to empower you or drain you. And more importantly, it will give you permission to say no, or yes, when you otherwise wouldn’t have. Imagine being confident in your choices every day! A word of the year can offer that to you. Does that mean that every time you have a decision to make, running it through the lens of your word of the year will make it clear? No, unfortunately we all still have to live in the real world. But, it does offer you the opportunity to make quick decisions on a great number of things. And honestly, we could all use a little bit of ease with our decision making. Give yourself the freedom to say no. I was happy when everything fit and was put in the correct folder. 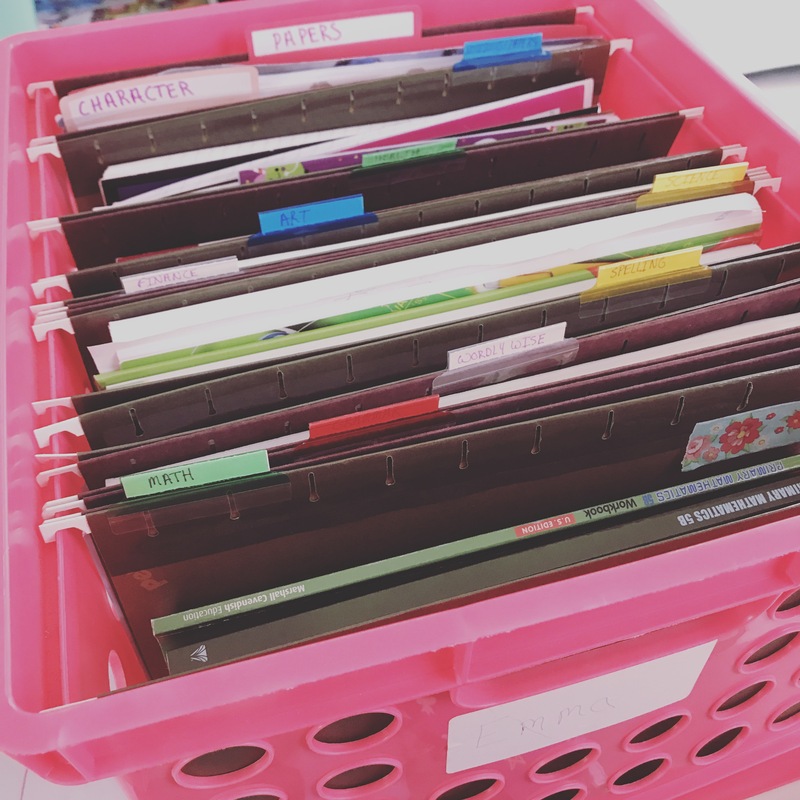 We had so many pictures and stories to file away in our portfolio bins! In the past, choosing a word of the year has been simple. It has always just come to me. There wasn’t a lot of thought. I knew the direction I wanted to go, and my word of the year would appear. It sounds heavenly, doesn’t it? To just know. Yeah, that was not the case this year. I did not know. I’m still not entirely sure if I chose the right word for what I wanted to accomplish, but that is OK! What is my word of the year? Wellness. It sounds like a great word, right? For example, you want to be healthy and fit, you want to eat well. This is the definition that comes to mind when the word wellness is said. However, for my word of the year I like to dig a little bit deeper – and you should want to as well. Intentional may be your word of the year, but perhaps it is a specific sort of intentionality. Perhaps you want to be intentional about your time. We are all given the same 168 hours each week to do with as we choose. Maybe time has been getting away from you and so you want to be intentional about it. When you put it into that context you realize that wellness is not just about treating your body well. Instead it is overall wellness that I am seeking this year. And within those eight areas of wellness, I am able to decide on goals for each area. My One Word – gives you some questions and helps to generate a word for you based off your answers. I would love to hear from you! What is your word of the year? Are you struggling to come up with one? Let me help you! You can contact me here. I read and respond to all of my e-mails! 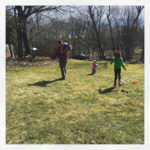 Previous Post: « Why are Goals Important?